Here we are in the midst of Lent, the season of reflection and discipline. Beginning with Ash Wednesday, the children of God are called to live a bit differently. On that day, ashen crosses adorn the foreheads of believers. For the next forty days, some give up favorite foods, or commit to prayer and the reading of scripture. We live differently, at least for a time, because the one whom we follow offers us forgiveness and the hope of eternal life. Lent is also a good time (it’s always a good time) to learn how to share our faith with others. So many people in the world today have not yet heard the gospel of Jesus Christ. So many others may have heard it, but have not understood or believed. When asked to explain who Jesus is, even Christians sometimes have difficulty putting what they believe into words. Jesus asks a simple question; “Who do you say that I am?” Simon answers correctly, “You are the Christ, the Son of the living God.” Indeed, he is! Jesus is the one whom God sent to take away the sin of the world. Through him, sinners are saved. 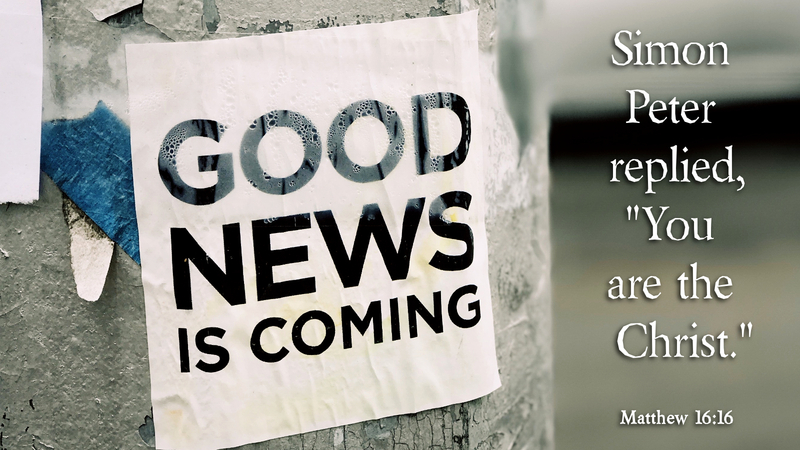 Blessed are you as you share this good news with others. Prayer: Lord Jesus Christ, give me the words to tell others the good news of your saving grace. Amen. This entry was posted in Discipleship, Evangelism, Lent and tagged Christian, Christianity, Evangelism, Faith, Following Jesus, Holy Scripture, Jesus Christ, Repentance, Spirituality, Teaching of Jesus. Bookmark the permalink.